Number of Foreclosure filings declined once Again! The number of residential foreclosure filings in the U.S. declined by 9 percent from October to November despite a yearly spike in the number of foreclosure starts. According to RealtyTrac‘s U.S. Foreclosure Market Report for the month of November 2014 released on Thursday 112,498 foreclosure were filed, including default notices, scheduled auctions and bank repossessions reflecting a decrease of 9% from the previous month and down 1% from a year ago. This marks the 50th consecutive month with a year-over-year decrease in overall foreclosure activity. The report also reflects that one in every 1,170 U.S. housing units with a foreclosure process were filed during the month. Among the nation’s 20 largest metros, those with the five highest foreclosure rates were Miami (one in every 394 housing units with a foreclosure filing), Tampa (one in every 432 housing units), Baltimore (one in every 576 housing units), Philadelphia (one in every 625 housing units), Chicago (one in every 716 housing units) and Riverside-San Bernardino-Ontario in Southern California (one in every 725 housing units). Fannie Mae is set to raise the benchmark interest rate for its Standard Modification program. Fannie Mae will raise its required interest rate for standard modifications from 4.375% to 4.5%. The rate was lowered from 4.5% to 4.375% on Sept. 15, but will now rise again in one week. Fannie Mae announced the change on Tuesday in an email sent to its servicers. After announcing the details of the U.S. Department of Justice’s settlement with Bank of Am erica, which includes $7 billion in relief to consumers U.S. Attorney General Eric Holder lamented Congressional inaction to extend the Mortgage Forgiveness Debt Relief Act. 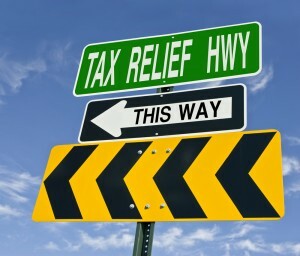 For homeowners meant to be helped by the settlement funds will instead be penalized on their income taxes. Holder called on Congress to do the right thing for financially distressed American families who lost homes to foreclosure or short sales this year. The tax relief expired on December 31 last year, and unless Congress acts to extend it, every person who has already sold or plans to sell a home in a short sale in 2014, will pay taxes on nonexistent mortgage debt, which is money many don’t have. Taxing forgiven mortgage debt as income is an unfair practice that also incentivizes defaults and foreclosures, which could torpedo the housing recovery.